The Hudson Bar first opened its doors in Belfast in September 2011 as a small bar on Gresham Street. Since then they’ve knocked through a few walls and grown into a three floored , four roomed imbibing emporium with a door on Royal Avenue too. With a huge array of craft beers, whiskeys and great simple food it’s a place where the parties are’ epic’.. The Hudson craft lager is to die for and the chicken wings are simply the best you’ll ever have so why not give The Hudson Bar a try. You won’t be disappointed. Damien Martin, Managing Director at Assure Services commented: “This contract win is further proof that our quality standards are first choice for businesses within Northern Ireland and that once again a company with proven experience and expertise such as ours can be trusted to deliver. 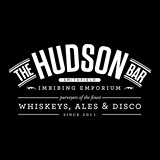 We look forward to working with The Hudson Bar and are delighted that we can be of assistance to them by providing our kitchen duct cleaning support. I would like to thank Peter Lavery and the team at The Hudson Bar for entrusting Assure Services with their Kitchen Duct Cleaning needs and assure them they will receive an extremely high standard of professional care.